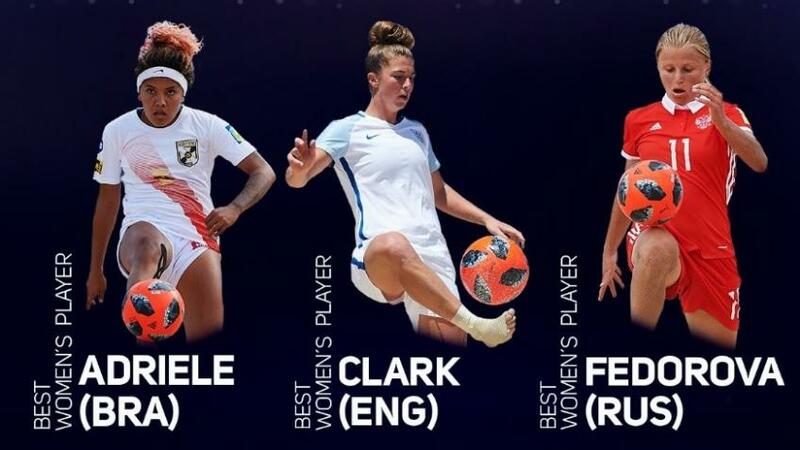 Some people might already be aware that England Beach Soccer and Chichester City Ladies‘ Molly Clark has been shortlisted for two awards at the Beach Soccer Worldwide Awards taking place on November 10th. The awards this year are taking place in Dubai and Molly has been invited to take part in the awards in the hope of securing one of the prestigious prizes. Unfortunately, the sport in this country receives very limited funding and the National Governing Body and they don’t have the funds in place to support Molly financially to go on this trip to represent her country. Molly has given years of dedication and hard work to a sport, often sacrificing many other good opportunities to follow her dream of becoming the best player in the world. Her efforts and achievements this year have been recognised globally by Beach Soccer Worldwide and her dream can very much become a reality. It would be a huge shame for her to miss out on being able to attend due to financial reasons. England Beach Soccer coach, Perry Northeast, has launched a crowdfunding campaign to help Molly get to Dubai and represent her country at the event. We are fully behind Molly and have donated. If you can spare anything then it all adds up and would be hugely appreciated. It all goes a long way to raising the profile of women’s football in England. You can donate via www.crowdfunder.co.uk/checkout/molly-clark—world-player-of-the-year-nomination. Molly’s goal can be found from 01 minute 20 seconds in.